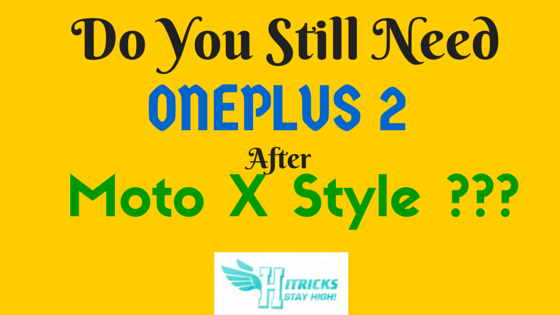 Home » Mobile Phones » Do you still need an OnePlus Two Invite after Moto X Style? Hi are you a die hard OnePlus Fan? Are you among one of crores of customers who registered to receive an OnePlus 2 invite? I know there are many people who could not try out OnePlus One yet and as the time now came for OnePlus 2, they are waiting to grab a OnePlus 2. If you are one of them, then it is my duty to alert you: Have you registered for the invite blindly? Did you check Motorola recently challenged OnePlus Two with its Moto X Style? Let’s find out. Well, believe me or not, OnePlus 2 is hyped a lot. Creating Hype is one of the successful Business Strategies for OnePlus since it’s release. We want to get what we don’t get easily. So they introduced the INVITE system of grabbing the device. Only invited persons can buy it. But I must say their flagship model was worth the hype. It brought everything we needed in a jaw dropping price tag. OnePlus One ruled the hearts of billions over a year. But unfortunately, that is not the case for OnePlus Two. I will not go in details of OnePlus 2 specs, you know that already. Well, but if you are still unaware, you can check out the OnePlus 2 specs here. It is priced at 26k. Fingerprint Scanner: Well, I have to agree that indeed Fingerprint Scanner is an out of the box feature of this 2016 Flagship Killer, and probably we haven’t dreamt of unlocking our phone with a Biometric Security. But, my friend, is this a feature you need desperately while choosing a smartphone? Well, maybe you need, but what I consider while purchasing a device is it’s Camera, Battery and Processor or RAM. RAM: OnePlus finally heard our needs. You get a whooping 4GB RAM that you can use on doing whatever you want, your device will stay lag free. 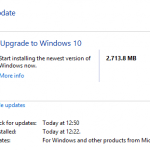 This also comes with DDR4 Ram which is the biggest advantage. Battery: Well, the battery is now 3300mah, 200mah bigger than the former variation. This is extremely unexpected, and we are not sure whether his 200mah increase will actually leave any mark on the battery life of the Two. NFC: Ohh! Baby. You still don’t have an NFC? While we may not use it always, it is preferable to choose a device that has all the basic connectivity options. How do you feel when you find a device with no Bluetooth? Bad, right? But think, you don’t really use Bluetooth in this era of wireless transfer via wifi. But again, not having Bluetooth is somewhat unacceptable, same goes with not having NFC. Invite System: This is a feature that ruins the game of grabbing the device whenever you want. According to OnePlus, only the ones who purchases the device will get sharable invites for their friends. So, a regular user has to either find out a guy who has already purchased the Two and still has an invite to share which is not reserved yet. Or he has to wait in the never ending reservation list! Oh My God! This is painful. You may end up waiting months to grab an invite to shop. Now, I will suggest you have a look at the recently announced Moto X Style, priced at 26k approximately, almost similar to OnePlus Two. Motorola announced this device to be launched in September, 2015. But believe me, it is worth the wait. This device has already thrashed the so called 2016 Flagship Killer in 2015 itself. You can find the Moto X Style Specs here. Moto x style beats the OnePlus Two in almost all the sectors except the RAM and the battery. It has 3GB Ram with 3000mah battery, like the OnePlus One. Other than that, it triumps over OnePlus Two in all areas. It has 5.7″ screen, it has got a 21MP Sony Camera, it is Water Repellant, and supports Turbocharging, making you charge the phone up to 34% in just 15 minutes. Obviously, the turbocharging is more necessary than the fingerprint scanner. What’s best? It is priced at 27k, almost in the same price range as OnePlus Two. Well, I have said what I had to say. Considering the specs, both the devices are best in it’s terms. But you need to choose between what is your necessity. I preferred Moto X Style over OnePlus Two firstly because of the camera. Secondly, becuase of the turbocharging. Both together will help to take smart shots all day long, while quickly charging back the lost juice when needed, without having to wait much. Now it’s your turn to choose what you need more. Also be informed that Moto device launches are always open sale, and never needs pre registration or an invite. So, you can wait for your peace of mind and purchase it whenever you need. That’s all. Thanks for reading our article. Do share if you like it. Keep visiting HiTricks for more Tech News and Tricks.